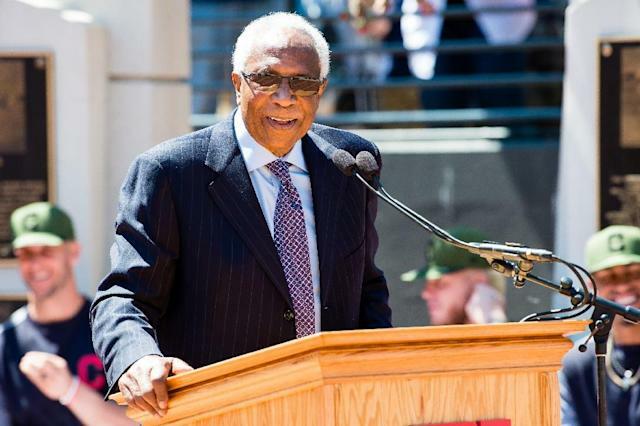 Washington (AFP) - Baseball Hall of Famer Frank Robinson, a World Series champion who became the first black major league manager, is "in the late stages of a long illness," The Baltimore Sun reported on Tuesday. The newspaper, which cited an unnamed source with direct knowledge of Robinson's situation, said the 83-year-old has been battling health problems for months. Robinson led the Baltimore Orioles to their first World Series title in 1966. He now serves as a senior advisor to MLB Commissioner Rob Manfred but hasn't appeared at a baseball event since July's All-Star Game in Washington. Robinson retired as a player after breaking the managerial color barrier by taking on the role of player/manager of the American League's Cleveland Indians in 1974. He became the first African-American manager in the National League when the San Francisco Giants hired him in 1981. Robinson ranks 10th in baseball history with 586 career homers and is the only man to win Most Valuable Player awards in both the National and American Leagues. He was Rookie of the Year playing for the Cincinnati Reds in 1956. In 1966 -- his first season with the Orioles -- he won the Triple Crown with a batting average of .316, 49 home runs and 122 runs-batted-in. He would win another World Series with Baltimore in 1970.